Born to a family of connoisseurs, Souvik’s early grooming was initiated in North Indian Classical Vocal Music from his mother Smt. Sumita Dutta. He continued with basic voice-training and some bandishes [compositions] based on different raga-s [melodic mood] — which helped him acquire understanding of swar [tone] and tala [metre] and the nature of Indian Music as a whole. That is what made him a complete accompanist when he took to playing the tabla [the most dynamic and evolved of the Indian percussion instruments] professionally. It was only his passion for the beat that later made his life. He took up tabla and continued with undaunted sincerity and utmost devotion to this day — to become a seasoned percussionist adept at playing with jazz or any other fusion ensemble apart from main stream Indian Music and tabla solo. Ever since he has taken up as a professional percussionist participating in India and abroad collaborating with musicians of varied genres. His initial taalim (guidance) in tabla was commenced under the privileged guidance of internationally acclaimed maestro Pandit Tanmoy Bose at the tender age of 9 and subsequently was continued for 10 long years. 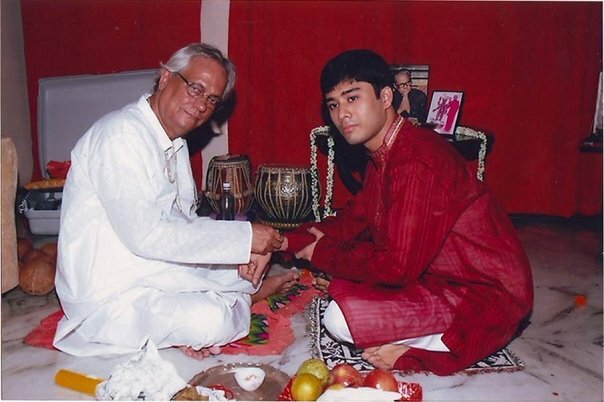 Thereafter, he was blessed to have received the much coveted guidance from the legend of tabla - Pandit Shankar Ghosh. 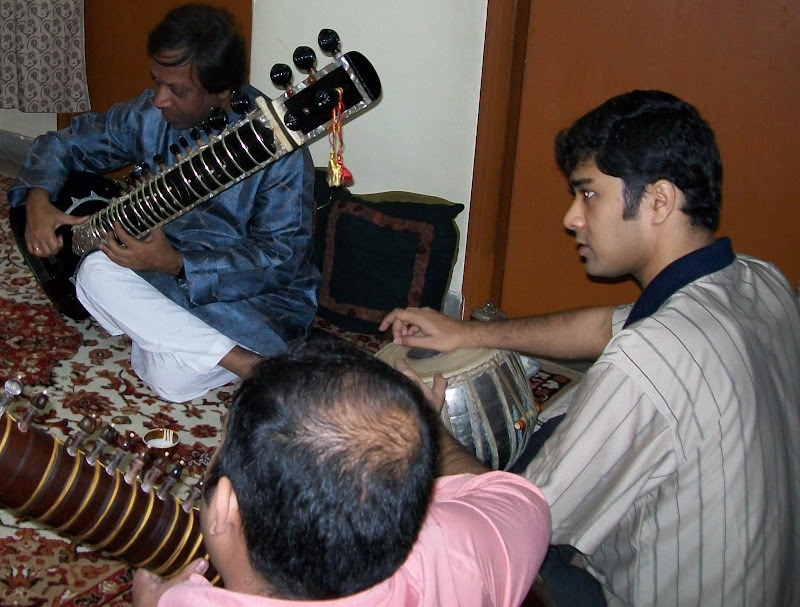 During this time Souvik picked up the nuances of percussive orchestration, apart from focusing on advanced technical taalim (tuition) related to higher skills of tabla solo performance, intricacy of jaati (nuances of micro-beats), chhand (rhythm patterns, accents) and different Indian beat cycles (tala/talam). Moreover, he was privileged to accumulate extensive training on the theoretical and practical aspects of the subject from the remarkable Faculty at the Rabindra Bharati University during 2005-2009. Although, a follower of Farukhhabad Gharana (Farukhhabad School of tabla tradition), he possesses equal dexterity and mastery on other styles as well. A first class in Masters and Bachelor degrees in Indian Percussion Music from the internationally renowned Rabindra Bharati University, Souvik studied the basics of two other percussion instruments as well – pakhawaj, and shreekhol. He had been performing extensively in India since 2003 and also in Europe as a professional musician for a decade now. A "Gandabandh Shagird" of Pandit Shankar Ghosh; Souvik Datta is a versatile, vibrant and innovative percussionist who is renowned in the field of tabla today. 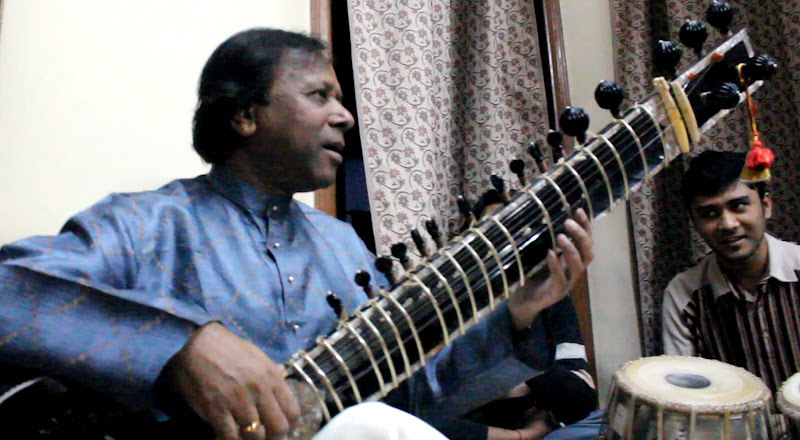 On several occasions, he has accompanied virtuosos like Ustad Shahid Parvez. Recently he collaborated with German Rock Band “Back To The Roots” on their Led Zeppelin-famed cover music video “Kashmir” in Wuppertal, Germany. He also collaborated with European Band "Lummu" in Switzerland. Moreover, he contributed to an album produced by Swiss Producer-Composer Lukas Leuthold that was recorded in Wattenwil, Switzerland. © Souvik Datta, 2010-2019. All Rights Reserved. Recommended Browsers: Firefox 3+, Chrome, Opera 11+.